The ILO has been engaged with indigenous and tribal peoples’ issues since the 1920s. It is responsible for the Indigenous and Tribal Peoples Convention, 1989 (No. 169), the only international treaty open for ratification that deals exclusively with the rights of these peoples. The ILO’s Decent Work Agenda, with gender equality and non-discrimination as a cross-cutting concern, serves as a framework for indigenous and tribal peoples’ empowerment. Access to decent work enables indigenous women and men to harness their potential as change agents in poverty reduction, sustainable development and climate change action. In 2019, the ILO Centenary coincides with the 30th anniversary of the adoption by the International Labour Conference of the Indigenous and Tribal Peoples Convention, 1989 (No. 169). ILO's Convention No.169 is based on respect for the cultures and ways of life of indigenous and tribal peoples. It aims at overcoming discriminatory practices affecting these peoples and enabling them to participate in decision-making that affects their lives. Which country has ratified Convention No.169? Reaching the Sustainable Development Goals (SDGs) and their overall ambition of “leaving no one behind” will require specific attention to the rights, aspirations, and participation of indigenous women and men. 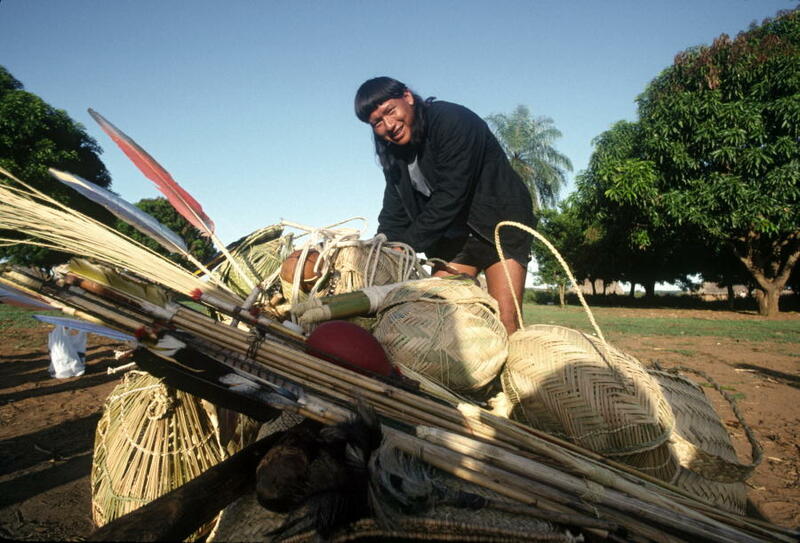 Decent Work can enable indigenous and tribal peoples to play their part in achieving the 17 goals of the Sustainable Development Agenda by 2030. This report emphasizes the importance of the decent work agenda, including the ILO Convention No. 169 and Guidelines for a just transition, for empowering indigenous women and men, and ensuring that they can emerge as partners for achieving sustainable development and strong climate action. Indigenous peoples constitute about 5 per cent of the world’s population, or nearly 370 million people spread across over 70 countries. While only about 5 per cent of the world’s population, indigenous peoples account for nearly 15 per cent of the world’s poor. Indigenous peoples care for an estimated 22 per cent of the Earth’s surface and protect nearly 80 per cent of remaining biodiversity on the planet. There is no universal definition of indigenous and tribal peoples, but ILO Convention No.169 provides a set of criteria for identifying them in a given country. Indigenous and tribal peoples are found in all regions of the world, from the Arctic to the tropical forests. Who are indigenous and tribal peoples? Children of the Ambororo nomadic tribe in South Darfur are carrying water in plastic containers for their families. A Kirghiz family at the foot of the Kongur mountains in Xinjiang, China. The Kirghiz are a Mongol people living in central Asia. A member of Yothu Yindi, an aboriginal rock band from Australia, performing in the Economic and Social Council Chamber, during launching of the International Year oof the World's Indigenous People. A Cakchiquel family in the hamlet of Patzutzun, Guatemala. A young boy, a member of the indigenous Dogon tribe, near Bandiagara, Southern Mali, an area traditionally inhabited by this industrious tribe. Indigenous Hmong women plant rice shoots in Bac Ha, Viet Nam. A mother and her three children, part of the indigenous Hmong group, in Sin Chai, northwestern Viet Nam. Indigenous children from the Embera people, displaced by armed conflict. Indigenous culture is closely linked to the land and displacement often leads to the total collapse of traditional authority and cultural patterns. Young boy from the Uygur ethnic group selling wool at the Kashgar bazaar in Xinjiang (China). Herders in Tarialan, Uvs Province, Mongolia. Many herdsmen now develop their own land-use plans, conservation maps and sustainable practices for water, forest and pasture management. Herders drive their horses in Must, Khovd Province, Mongolia. A Ladakhi woman, part of the Tibetan ethnic group. Only some countries recognize indigenous peoples’ land rights, but even in those countries, land titling and demarcation procedures have often not been completed, suffer delays or are shelved because of changes in political leadership and policies. Even where indigenous peoples have legal title deeds to their lands, these lands are often leased out by the state as mining or logging concessions without consultation of indigenous peoples. The lack of legal security of tenure remains a crucial issue for indigenous peoples almost everywhere. Large dams and mining activities have caused forced displacement of thousands of indigenous persons and families without adequate compensations in many countries. Several communities have been moved out of national parks against their will, while tourist development in some countries has resulted in the displacement of indigenous people and their increasing poverty. 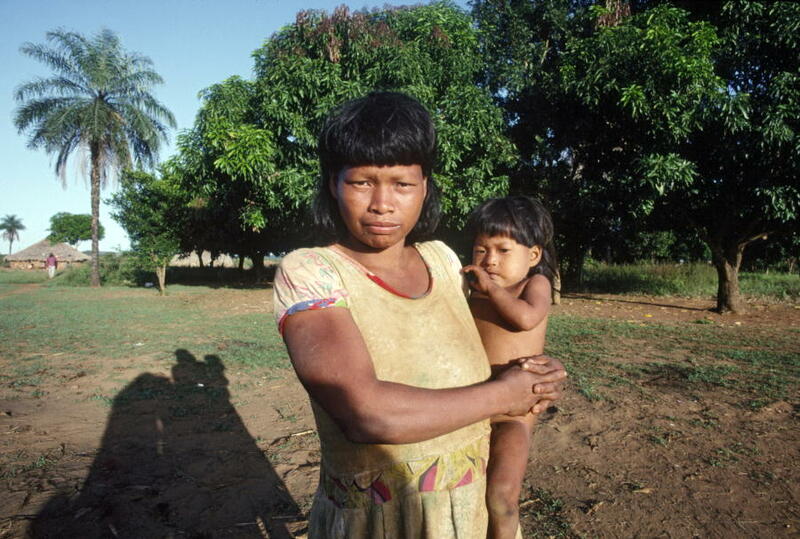 Forced evictions and the dispossession of lands have particularly severe impacts on indigenous women, who, as a result, often have an increased workload as they must walk long distances to find alternative sources of water or fuel wood, or are driven out of income-earning productive activities and into a situation of economic dependence on men. The ILO is a member of the Inter-Agency Support Group on Indigenous Issues (IASG) and United Nations Indigenous Peoples' Partnership (UNIPP). In 2007, the United Nation General Assembly adopted the Declaration on the Rights of Indigenous Peoples. As a follow-up to the World Conference on Indigenous Peoples held in 2014, the United Nations system developed a system-wide action plan to ensure a coherent approach to achieving the ends of the Declaration.